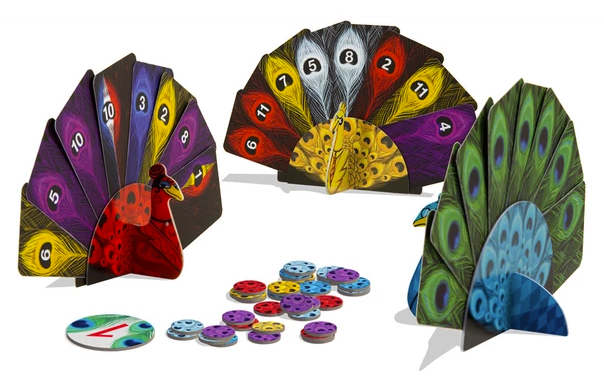 As I already alluded to, Pikoko is a trick-taking game. If you ever played Hearts on your Windows 95 PC, you have played a trick taking game. If you haven’t (or if you have but still have no idea what I’m talking about) then let me explain. In Pikoko this format is turned on its head in several ways. First and foremost getting or not getting tricks isn’t what will get you points in the game. At the beginning of each round (a round is a number of tricks you play until you have all played all your cards) you will bet on how many tricks each other player will score in this round. But you might be thinking, wait how do I know how well the other players might do when I can only see my own cards. And you would be right, but also wrong. You would be right, if Pikoko worked like a normal card game. But it doesn’t. In Pikoko you can see the hand of cards of everyone else, BUT your own cards are hidden from you. So you have to deduce how good your hand is by looking at what everyone else has and how strongly they bet on you. BUT, you might still be thinking, how do I play cards from a hand I can’t see. And AGAIN you would be right, but also so very wrong. In Pikoko you only play cards from the hand of the player to your left. So the player to your right is playing your cards and you are playing for the player to your left and so on. It’s less confusing than it sounds and it adds a wonderful dynamic to the game that is a bit hard to wrap your head around at first but leads to some very interesting decisions. At the end of each round you will see how well your betting went. If you were right on point with the amount of tricks you get 2 points, if you were 1 off you get 1 point otherwise you get 0. After 3 rounds you tally your scores and see who won. 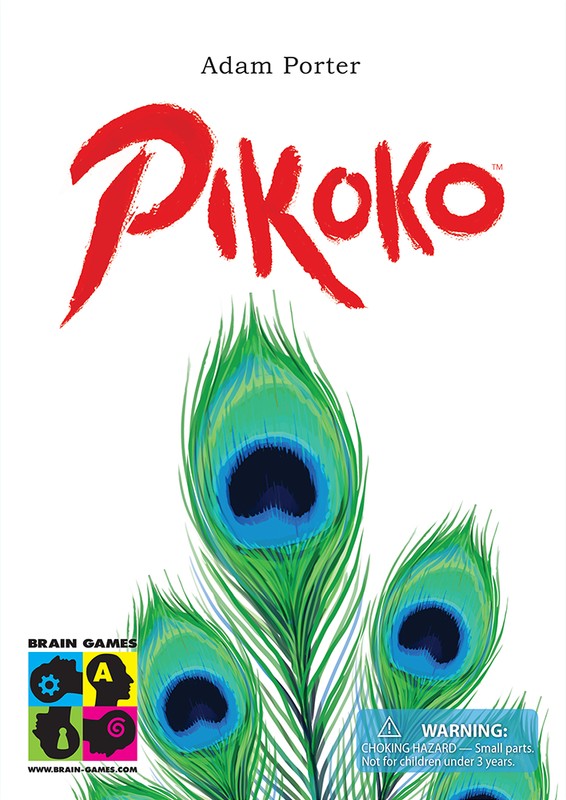 For people who like small card games with simple rules Pikoko is really a gem in my book. I like trick taking games, but this twist gives a completely different feel and a great deal of tension when you are waiting to see what card will be played from your hand. It is a wonderful puzzle trying to win just the right amount of tricks for each person. I found it played good with 3 and great with 4, but either player count works. I haven’t played with 5 players but while it might be harder to analyze what cards you might have on hand yourself and how many sets each player will collect, the way the game is set up will make sure that even at 5, I doubt the game will ever feel chaotic or random. Because other players moves could unintentionally be detrimental to you, there might be problems if you play with players of varying skill levels. Like when you play poker with a very chaotic player can be a bit annoying. But the game mostly gets around that because of the betting system and the fact you don’t have to get the exact number to score points. I will keep this in my collection for the foreseeable future and hope to get it to the table a lot more. This rules are very easy to understand, but really wrapping your head around how to play well isn’t that easy. But if you can play Hanabi or any other trick taking game, this is in the same ballpark.